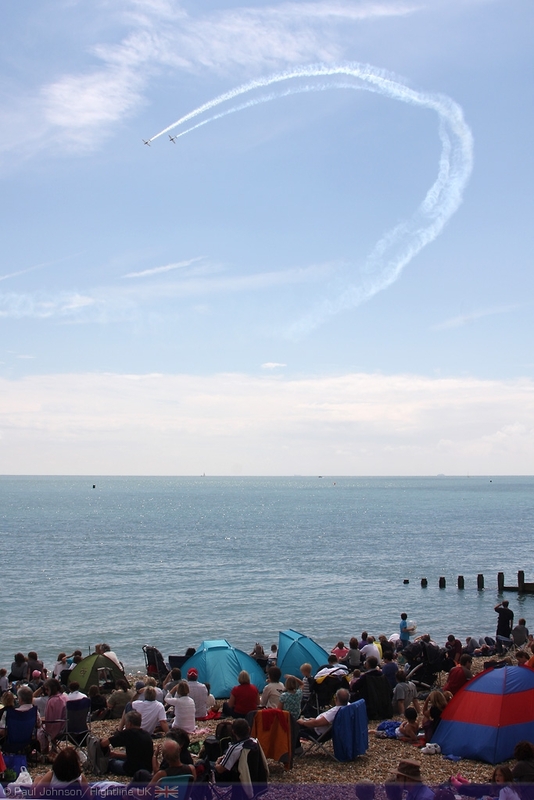 Each year, Eastbourne hosts the first of the two big four day seaside airshows on the South Coast. 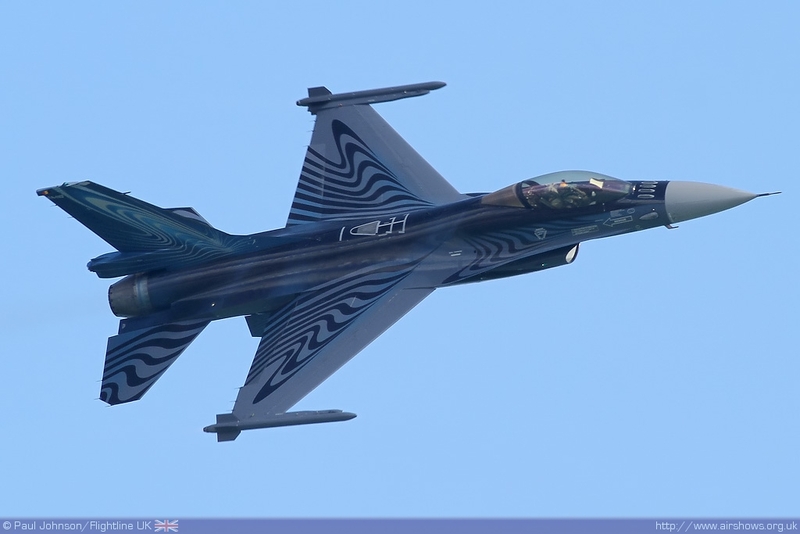 "Airbourne" is a truly international event and regularly welcomes participation from European air arms on top of strong support from the Royal Air Force. 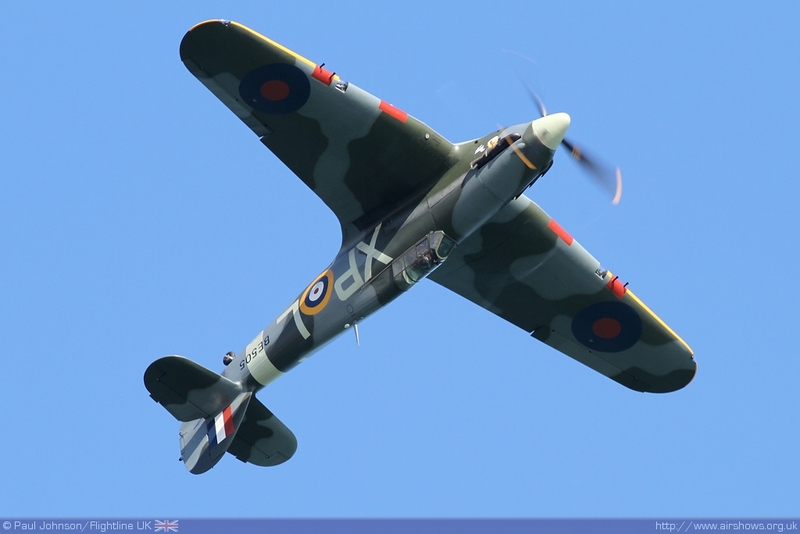 As well as the military flying, Eastbourne always contains a number of stunning warbirds as well as the pick of civilian display acts over the four days. 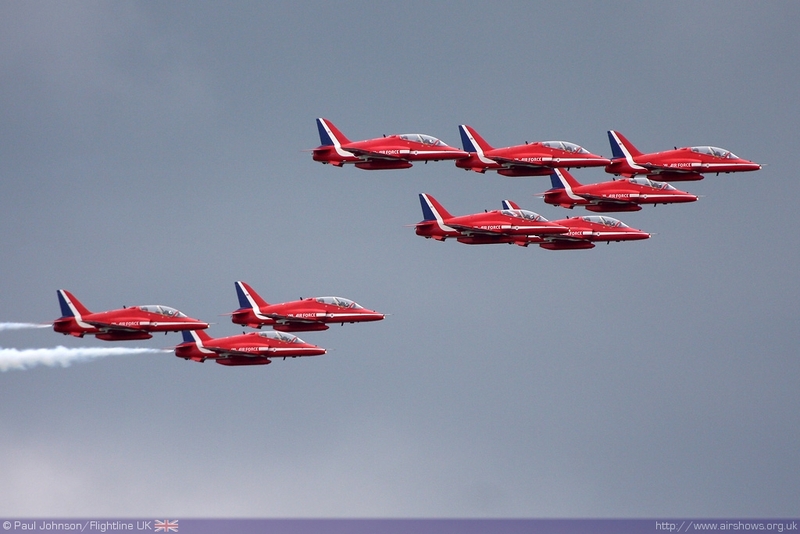 2010 saw the event content with some mixed August weather and a clash with another big seaside airshow at Lowestoft. 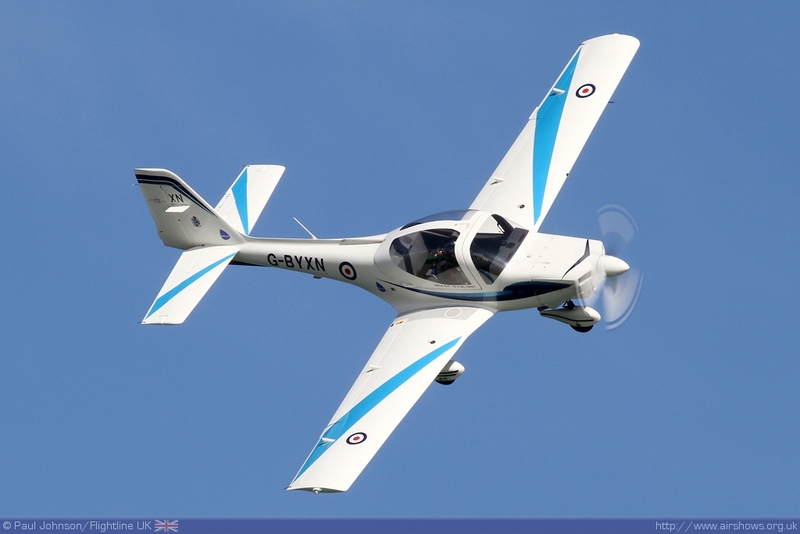 Paul Johnson/Flightline UK reports from the (sometimes) sunny South Coast. 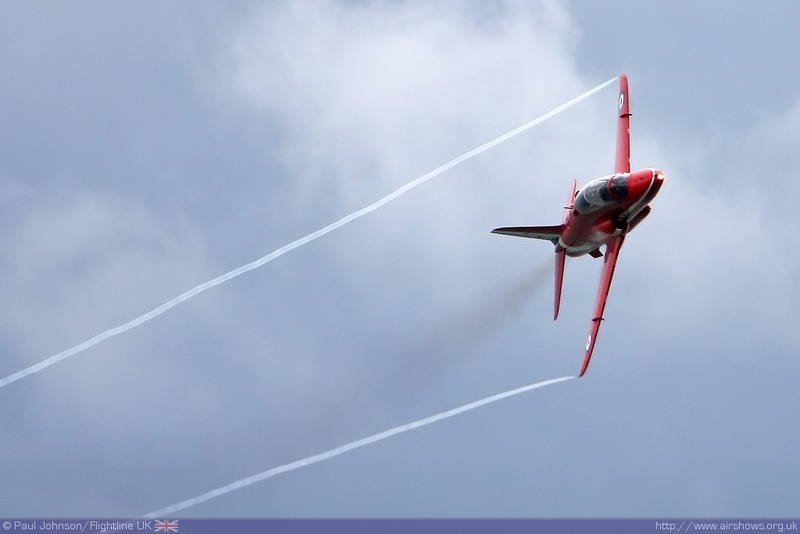 All photography copyright of the Author. .
"Airbourne" has faced its ups and downs in the past couple of years. 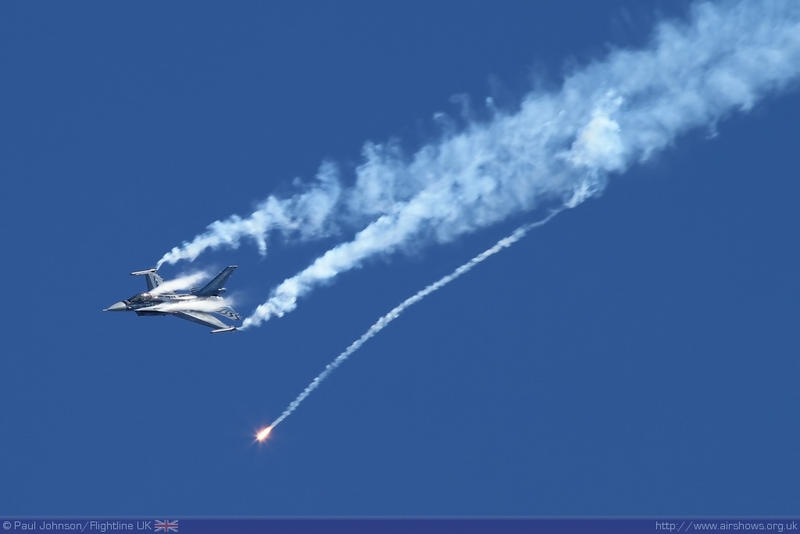 Having grown into one of the most popular shows in the country, a disastrous decision to charge entry to the show in 2008 to charge "admission" to the show backfired spectacularly with the show recording a substantial loss. 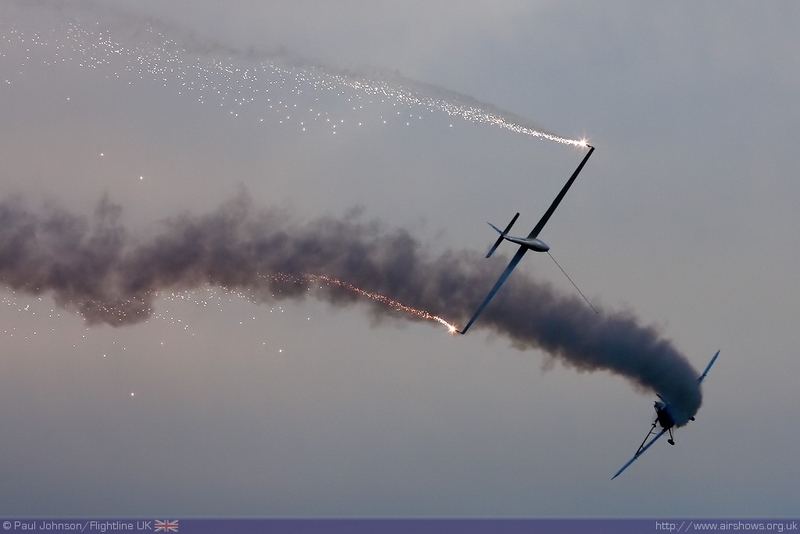 2009 saw the show return to its tradition "free" status but it was an uphill struggle to repair the damage and despite stunning weather a great flying display, the show still made a slight loss. 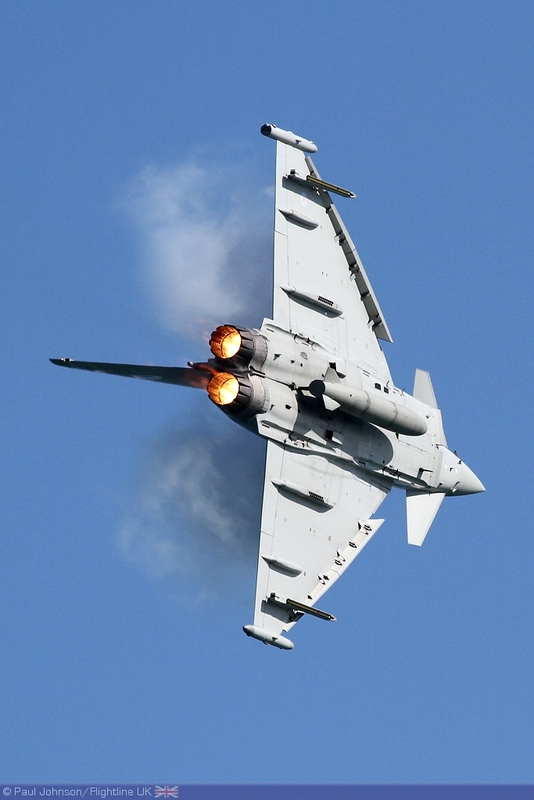 The show has been kept going as it provides a welcome economic boost for the seaside resort during the holiday season for hotels, restaurants and other local businesses. 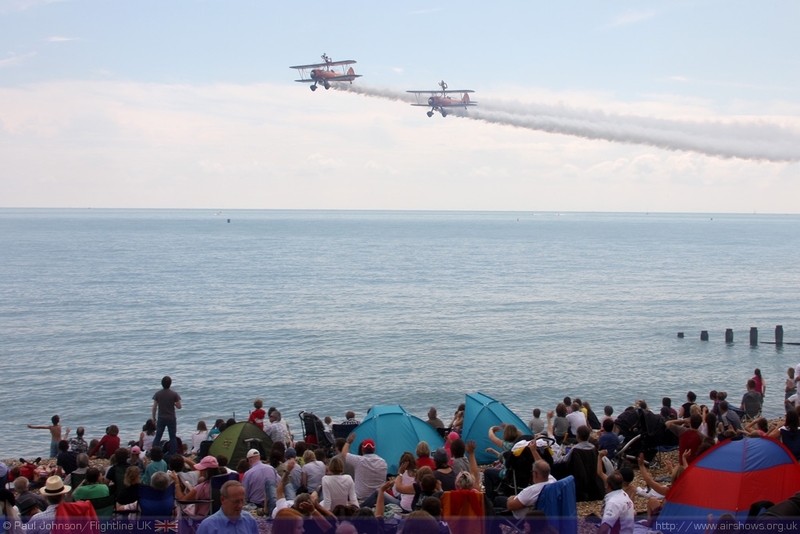 The armed services also enjoy Eastbourne as it provides an ideal platform to engage with the public, many of which don't attend more traditional shows at airfields. 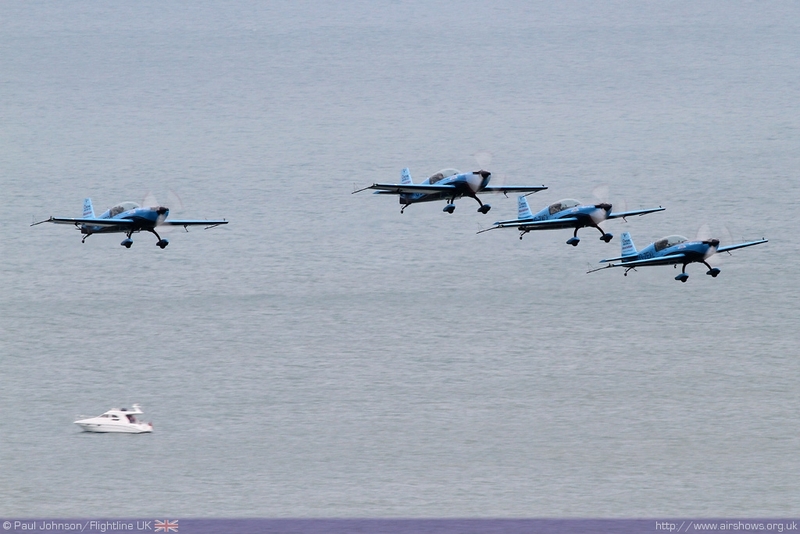 Eastbourne is also an absolutely superb venue for an airshow. 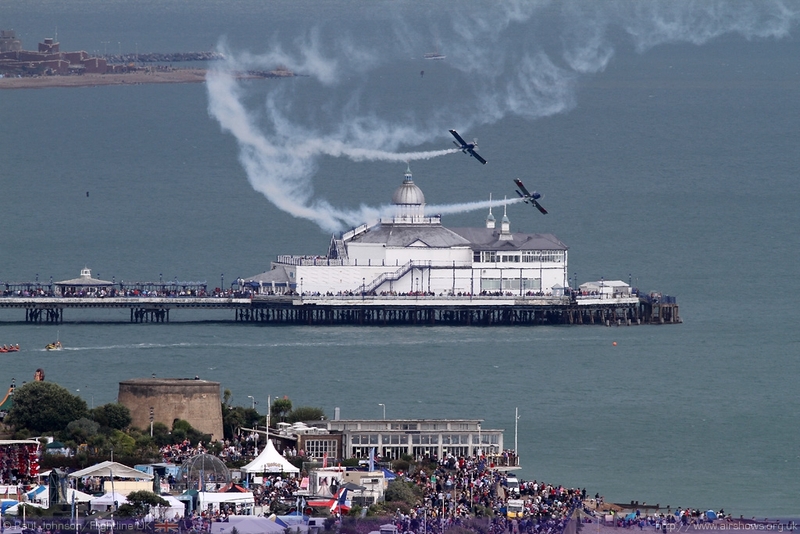 Not only do visitors get a superb view of the flying from the main show area and promenade, there is also fantastic viewing from the Pier to the east and the rolling hills of the downs to the west. 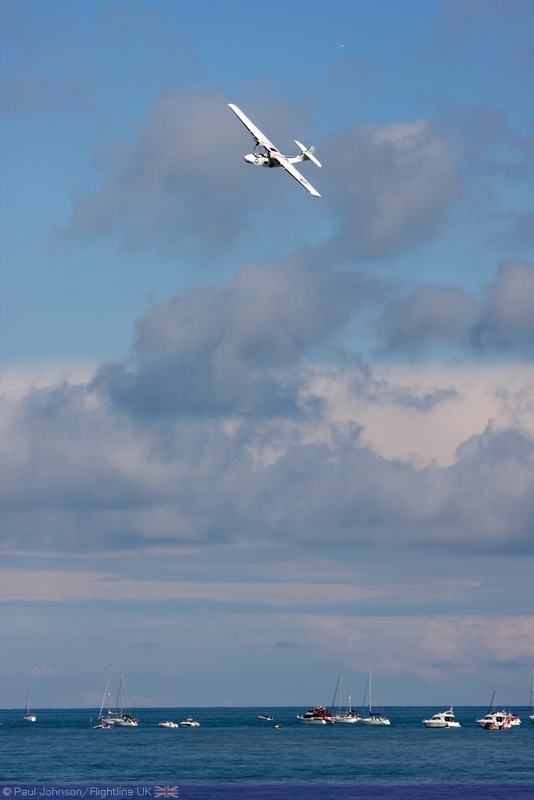 The topography also helps create Eastbourne's own micro-climate which was dramatically demonstrated on the Saturday when much of the South East was plagued by heavy thundery showers while Eastbourne basked in clear blue skies with some towering storm clouds sitting just inland of the coast and clearly visible from the display site. 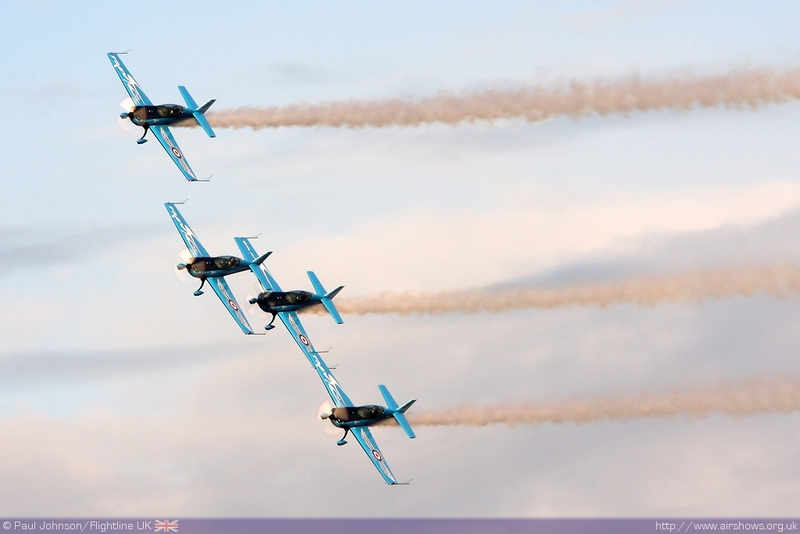 The four days of Airbourne are all action packed with events on the ground as well as in the air. 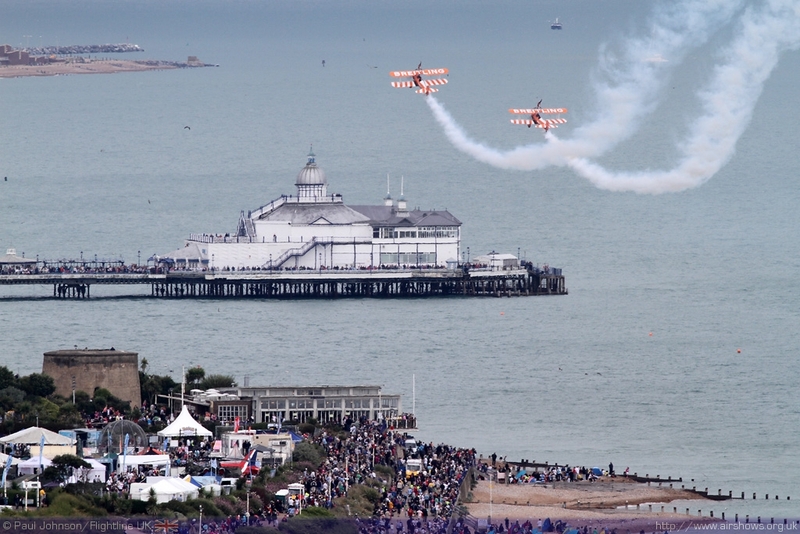 A busy arena programme compliments the action in the air and there are large trading areas spread out along the seafront. 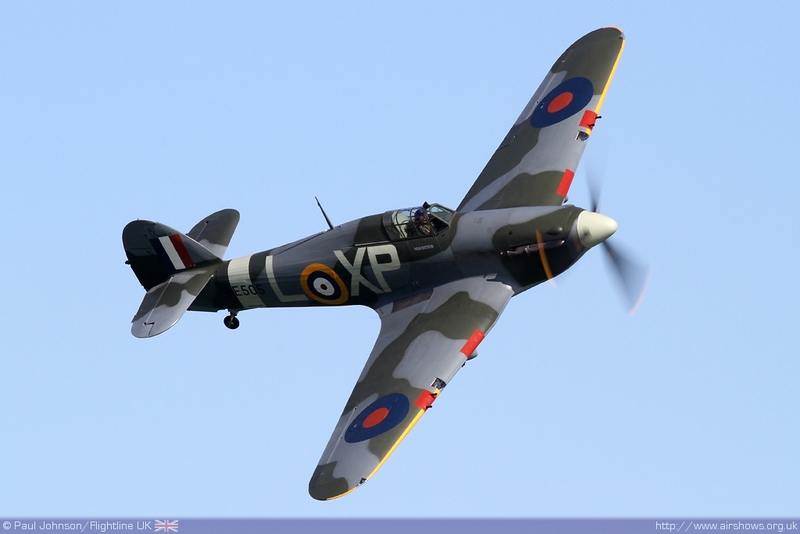 Organising such an event is a massive task, and takes in three different operating airfields at Shoreham, Biggin Hill and Manston for the various display aircraft. 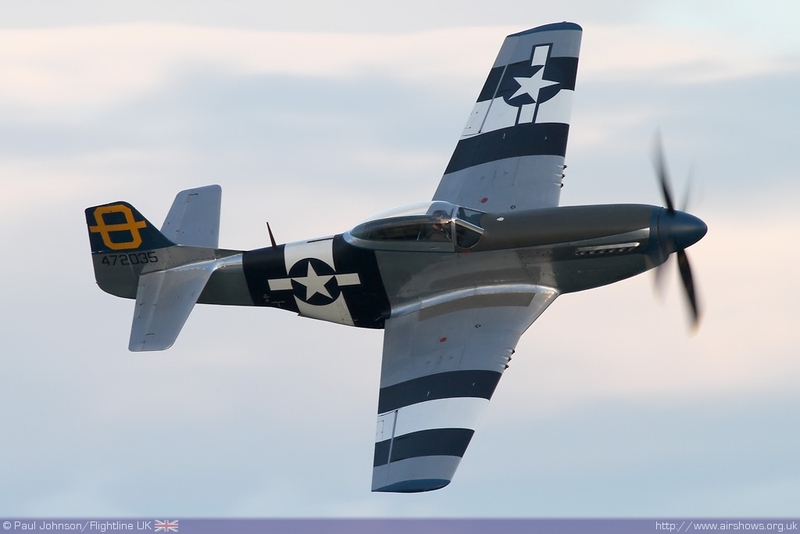 The show slowly builds up over the Thursday and Friday before the main flying displays over the weekend. The displays on the Thursday and Friday were complicated with a clash with another large seaside show, the Lowestoft Air Festival. 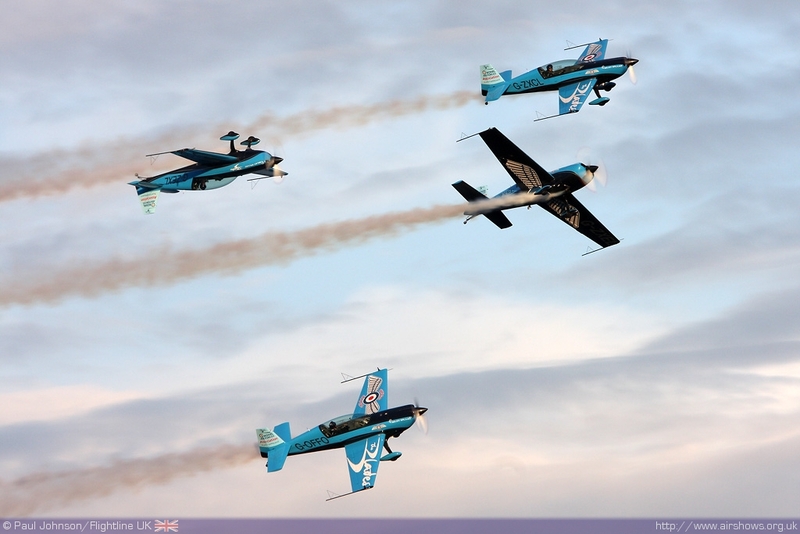 The clash obviously caused some pretty tight scheduling issues with a number of display teams criss-crossing the south east corner of the UK to make their various display slots. 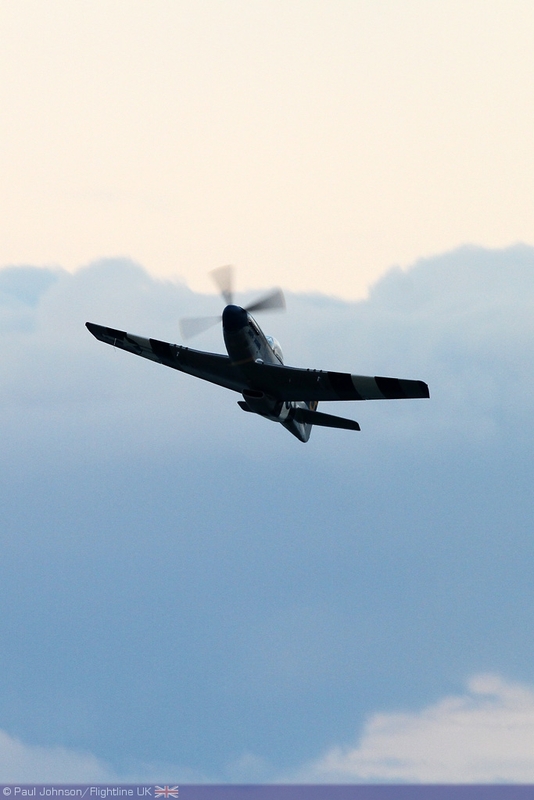 Making a welcome return this year was the evening display on the Friday. 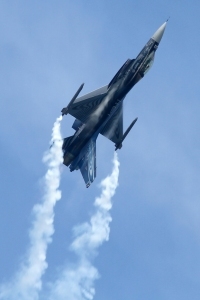 Dubbed "Come Fly with Me," the display mainly featured acts participating in the main daytime displays but set to music rather than the usual commentary. 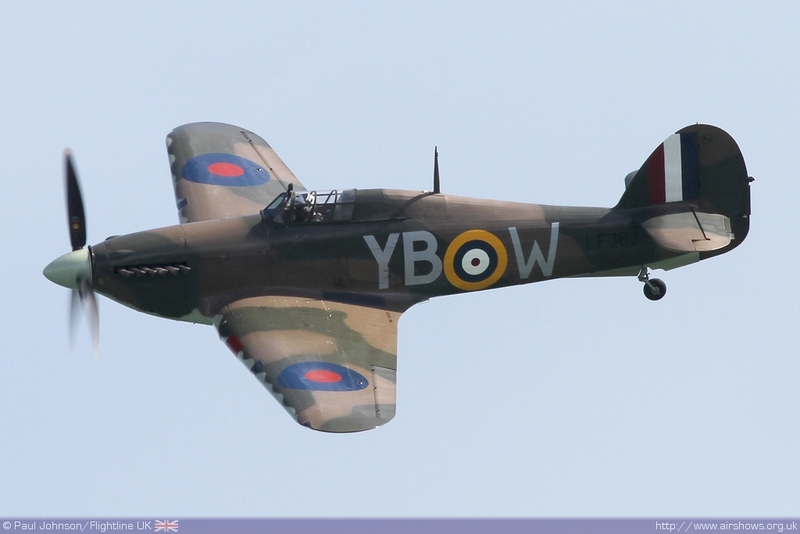 The weather throughout Friday was not too kind with some particularly heavy showers skirting Eastbourne though Pevensey Bay and some light rain passing though the display area. 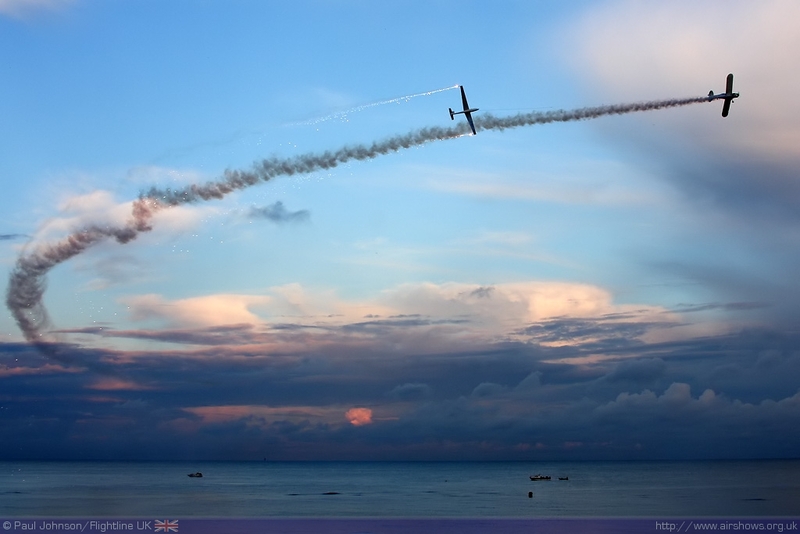 However, the weather improved for the evening display and the shower clouds that had passed through left a dramatic cloudscape illuminated by the low sunlight light. 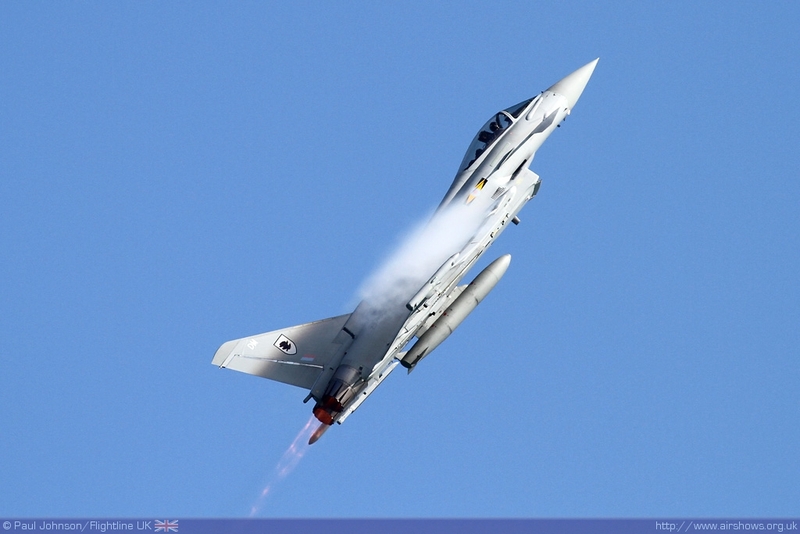 The Eurofighter Typhoon T3 opened the display creating plenty of vapour over its wings in the moist air. 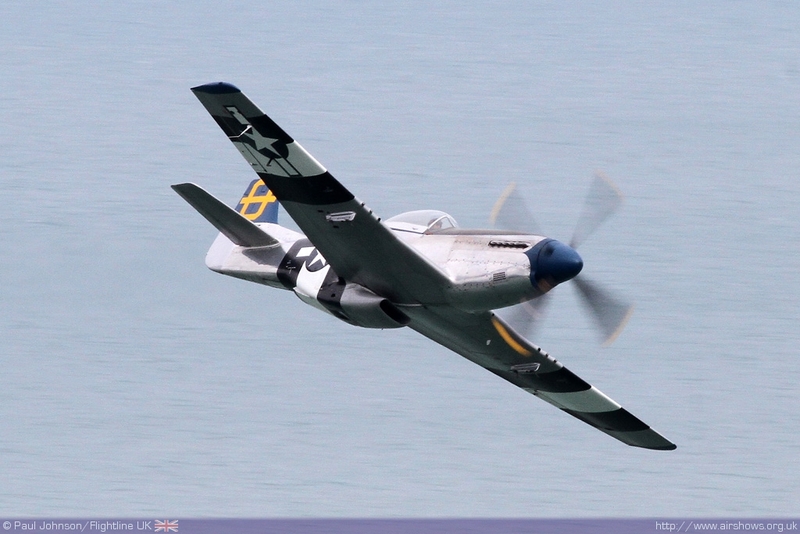 He was followed by the Blades, John Romain in the Spitfire IXT and Peter Teichman in his P-51D Mustang. 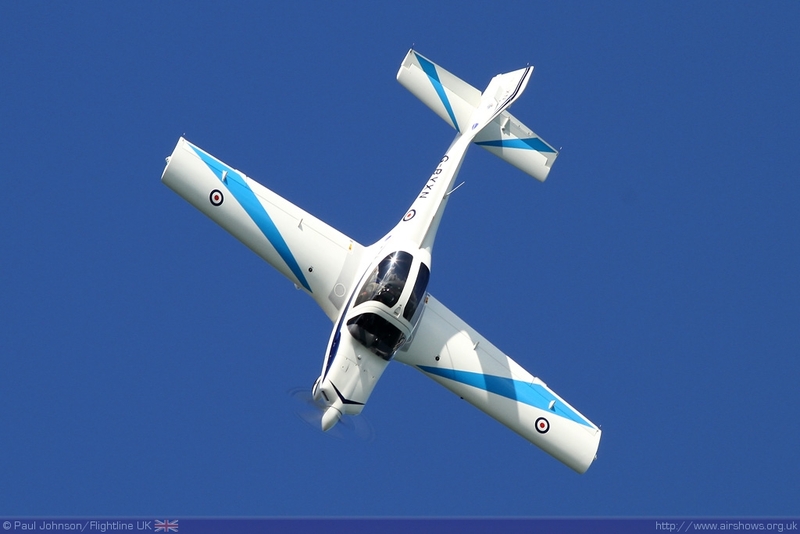 The evening was closed by a stunning presentation by the Swift Aerobatic Display Team with the PA25 Pawnee flown by Paul Moslin and the Swift Glider flown by Guy Westgate. 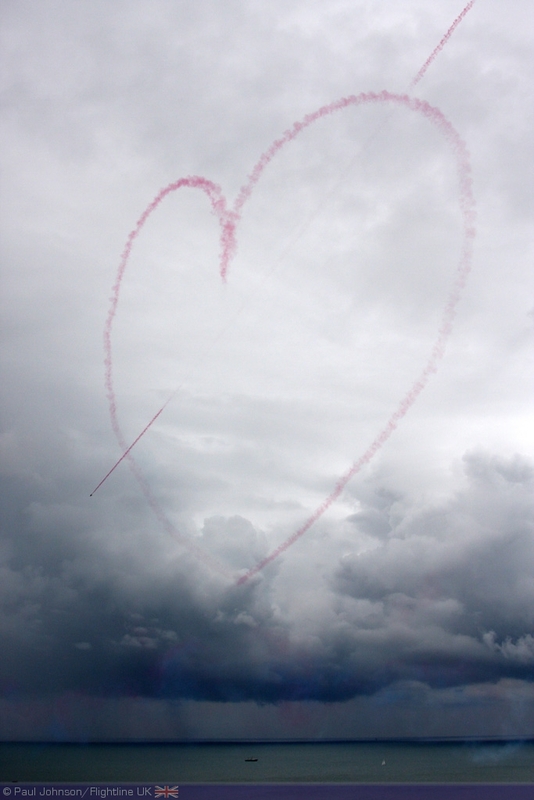 "Roman Candle" style fireworks replaced the usual smoke generators providing a truly spectacular finale to the evening against the dramatic cloudscape. 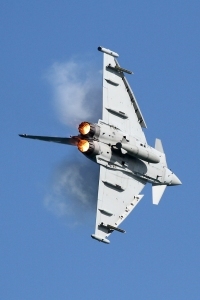 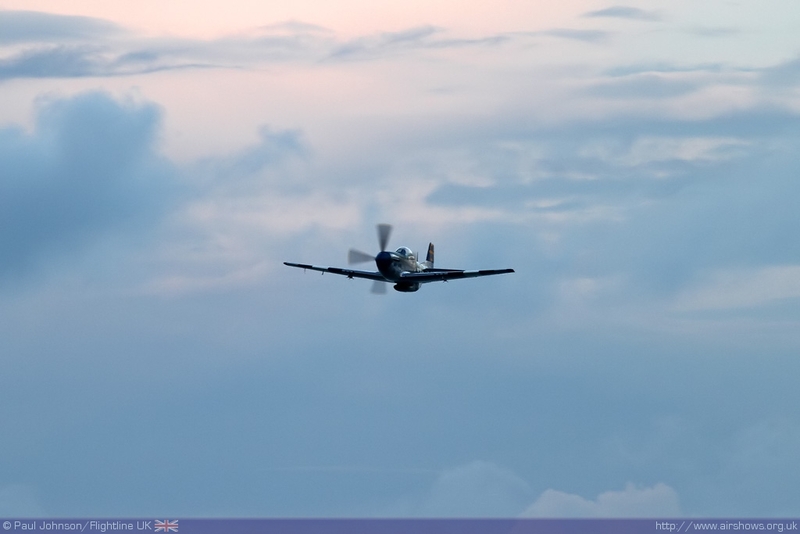 The main air displays over the four days drew strong support from the Royal Air Force. 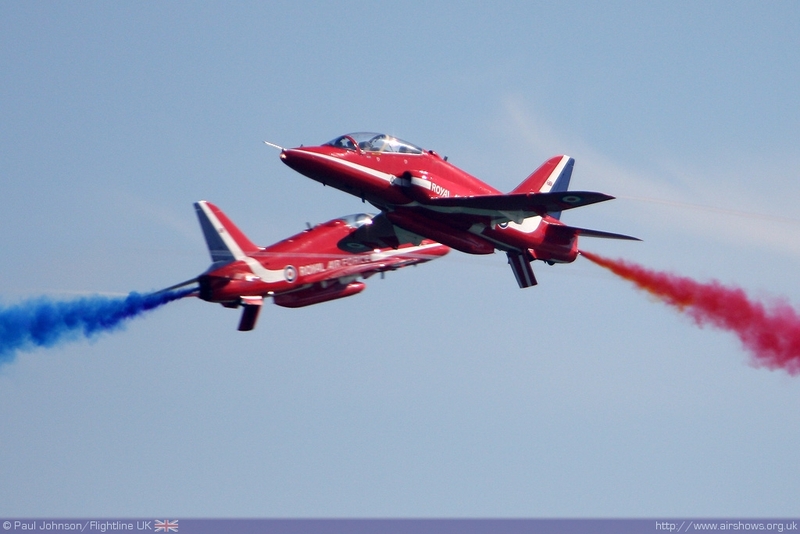 The RAF have forged close links with Airbourne as an important part of their public engagement each year. 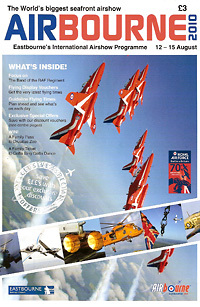 On the ground there are ground exhibitions from a number of units as well as the main RAF Charities. 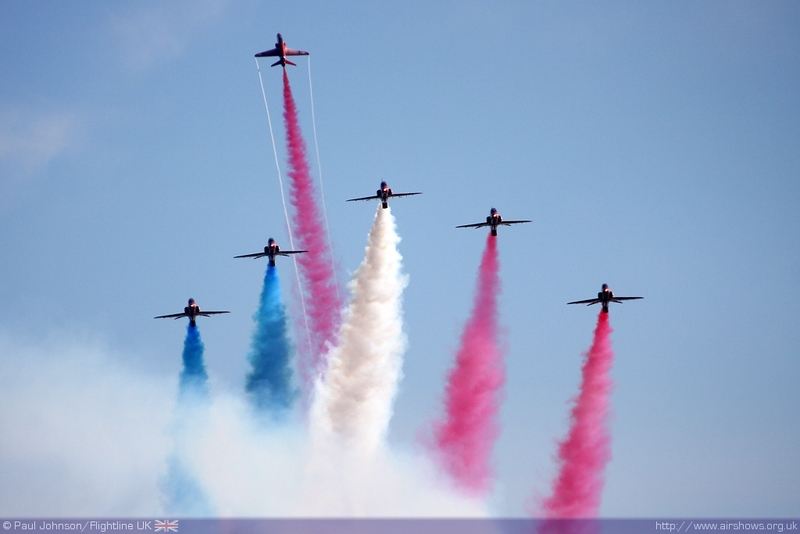 The Royal Air Force Aerobatic Display Team, the Red Arrows, supported the event on all four days with displays on the Thursday, Friday and Saturday. 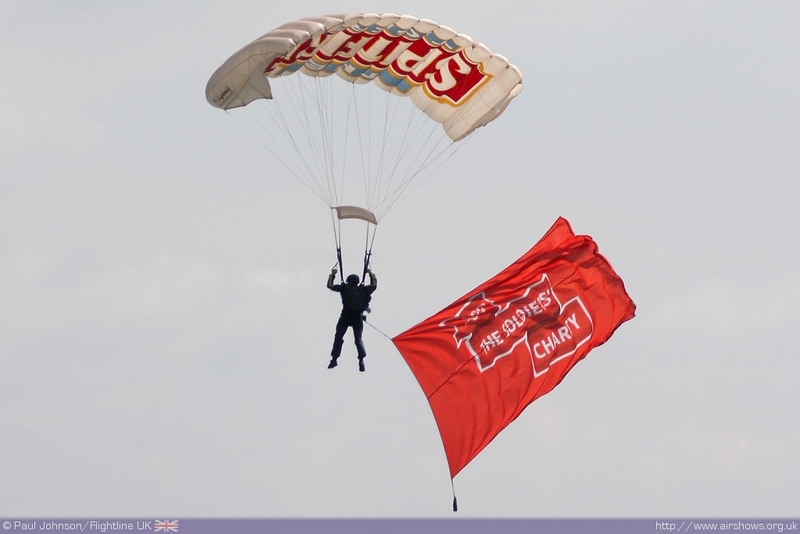 The viewing locations from the Downs in particular provide a unique view of the teams display. 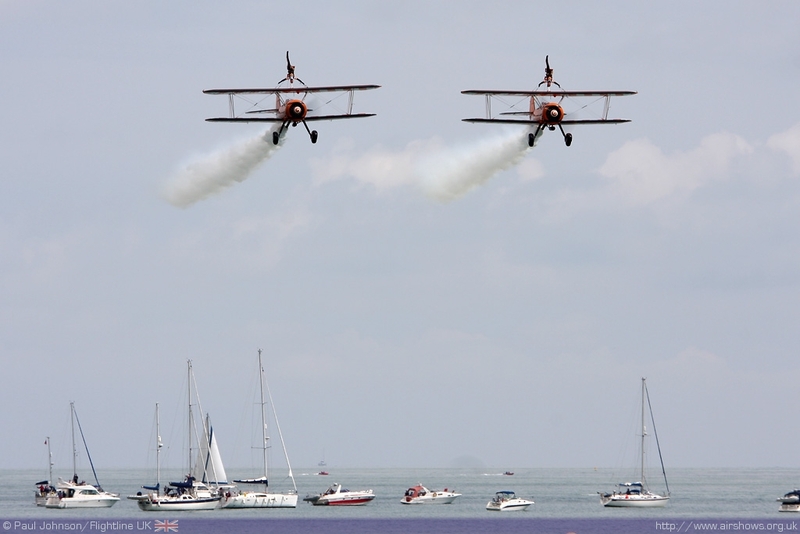 Quite often crowds get a stunning view of the Synchro Pair as they reposition at low level around the back of the town. 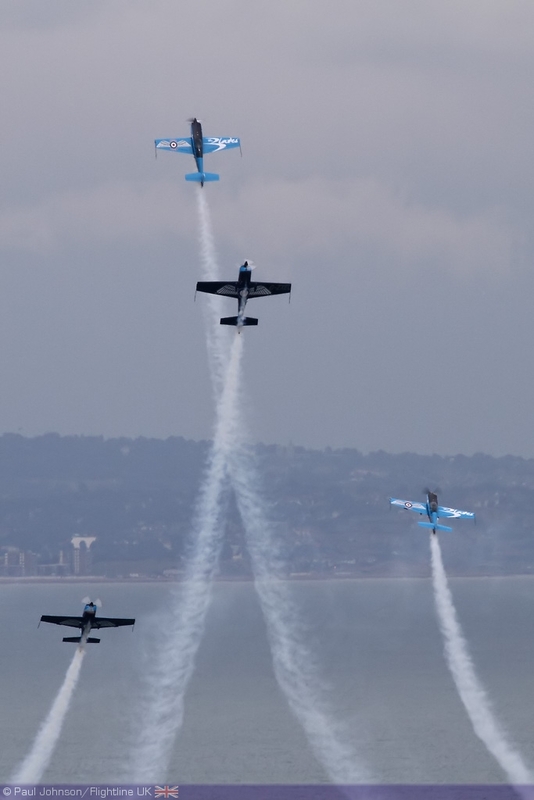 Though the team were not scheduled to display on the Sunday, they did manage a flypast during a transit flight between display venues. 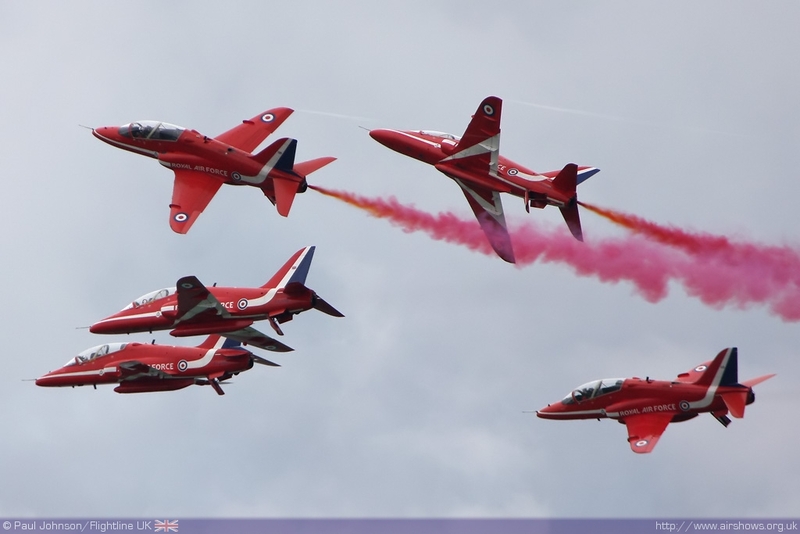 On top of the Reds, a number of the RAF's solo display items appeared during the four days. 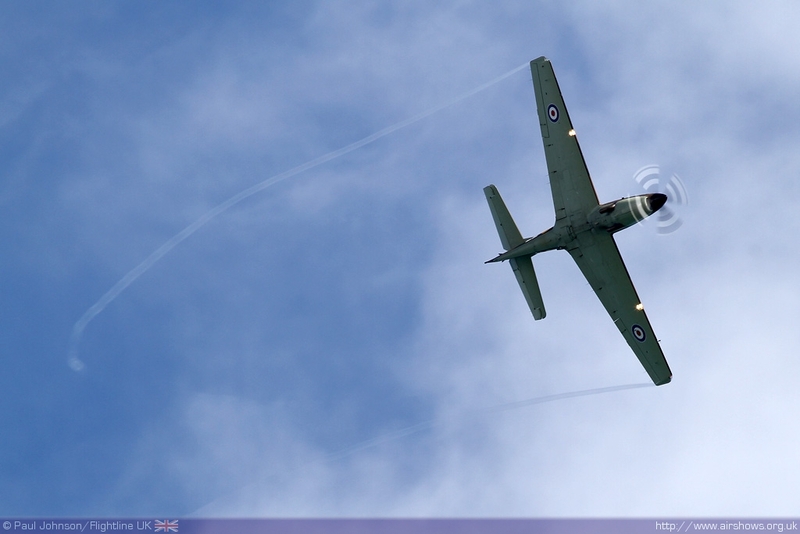 The Grob Tutor T1, Shorts Tucano T1 and BAE Systems Hawk T1 all appeared in the flying displays. 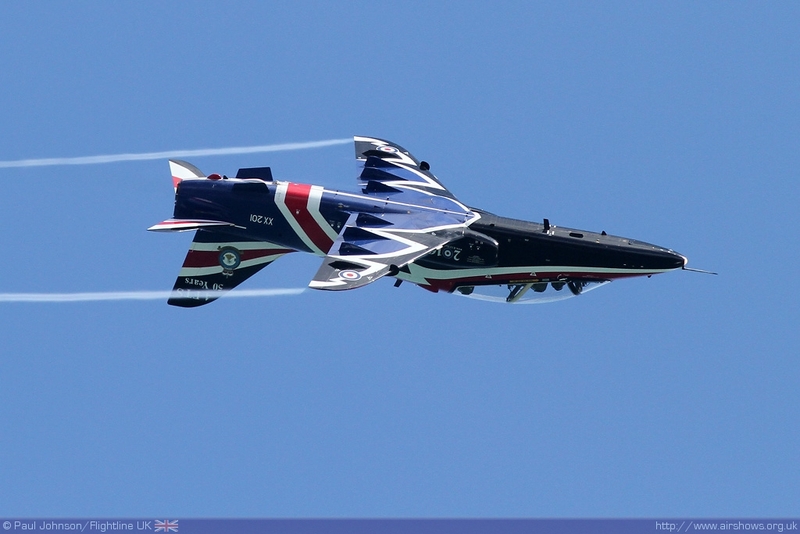 The Hawk display was notable as it marked one of the first appearances of the new Hawk Role Demonstration which has replaced the regular display for the rest of the year. 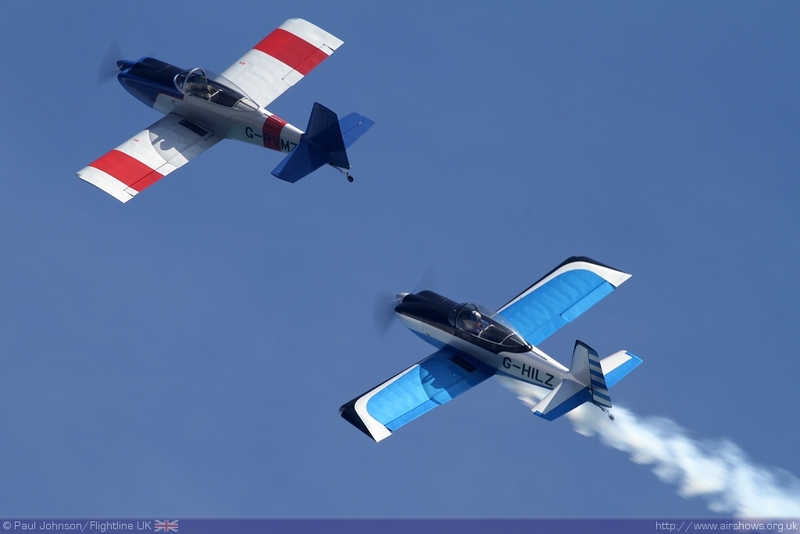 Flown by Flt Lt Scott "Disco" Griffith from 19(R) Squadron, the newer routine is non-aerobatic presenting the aircraft in a configurations and manoeuvres that the aircraft regularly performs as part of pilot training. 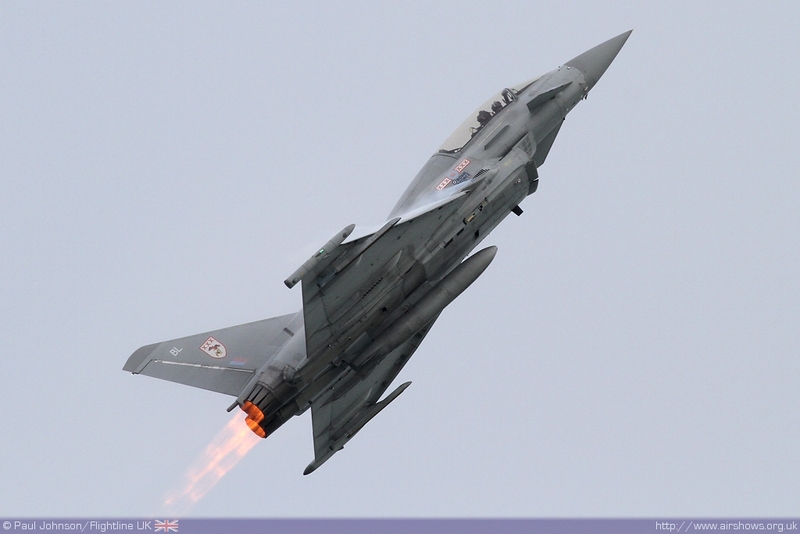 The RAF's Typhoon FGR4 also appeared over the Saturday and Sunday representing the RAF's current front line. 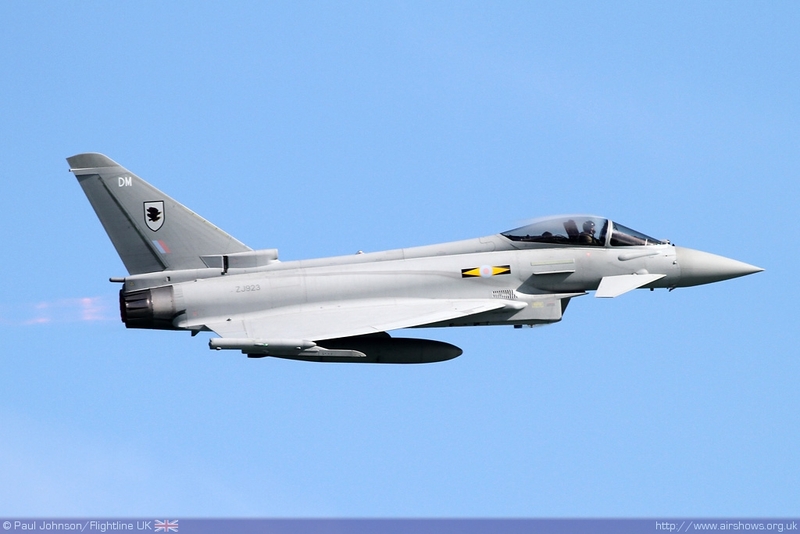 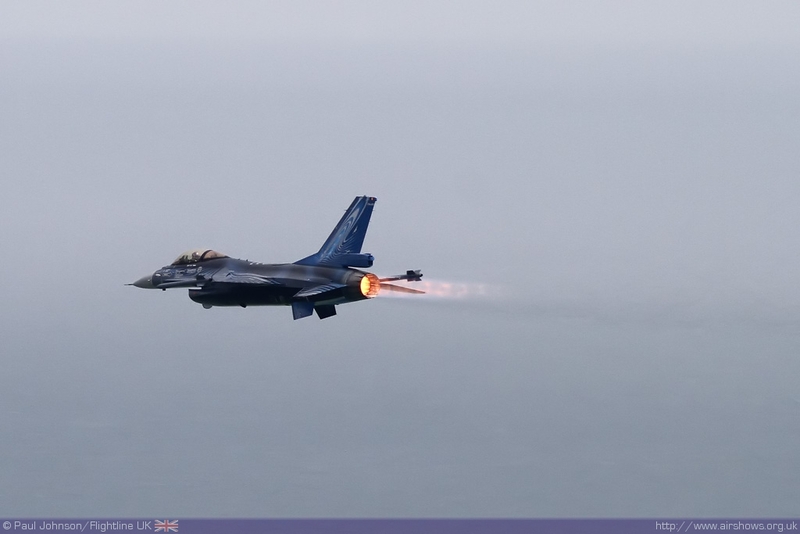 Joining the Typhoon was the welcome return of the Belgian Air Component F-16AM Fighting Falcon solo display. 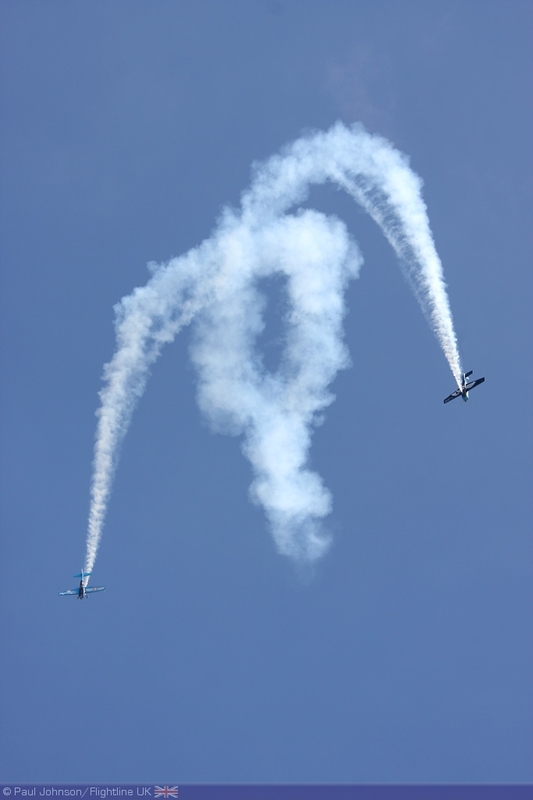 The Belgians have been good supporters of Airbourne over the years bringing a number of different displays to the show. 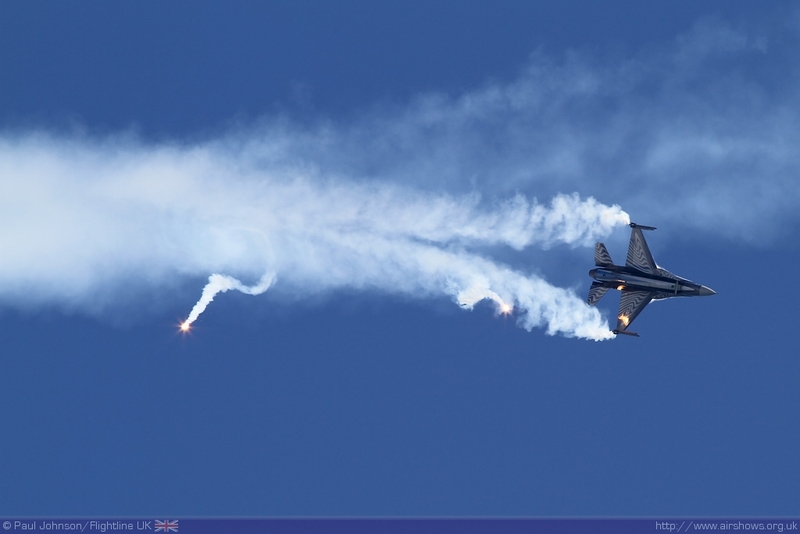 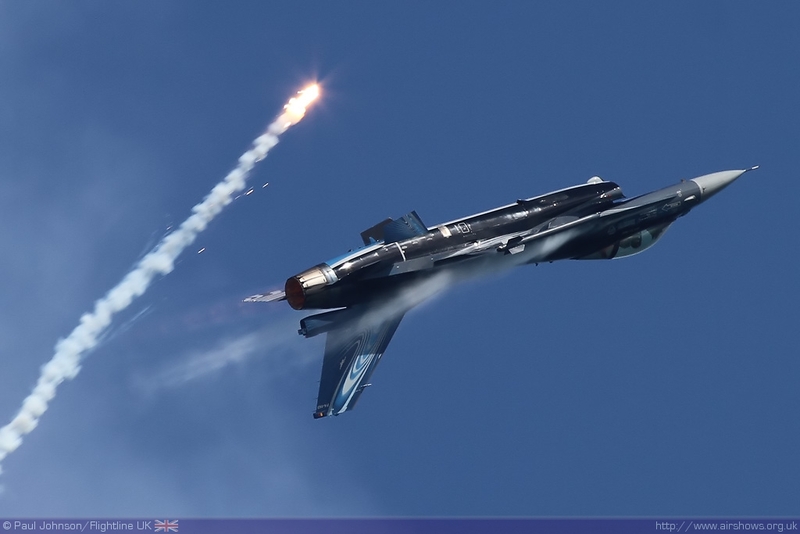 The F-16's display was notable in 2010 for the liberal use of flares during it's display. 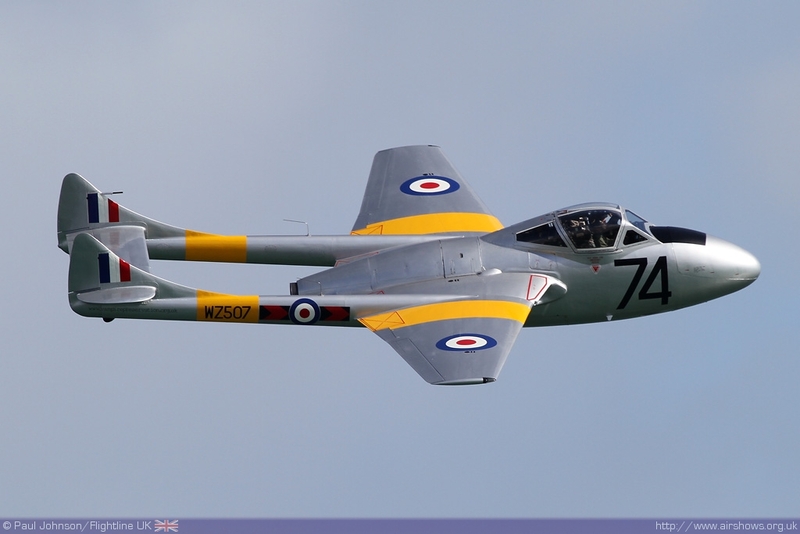 Sadly the Royal Navy Historic Flight's Sea Hawk was forced to miss Eastbourne due to engine problems leaving the service without a display at the event. 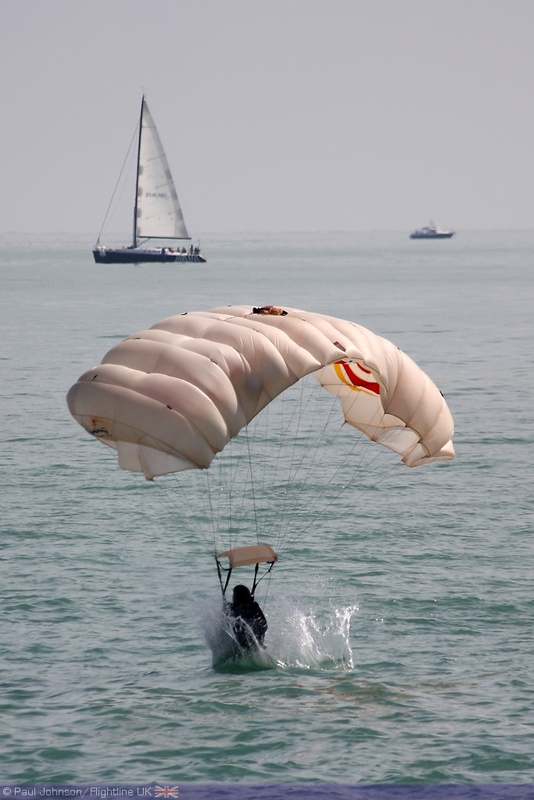 However, the British Army were represented by the Tigers Parachute Display Team who dropped in each day making a rather wet water landing which is always something special to see. Airbourne would not be complete without including some exciting civilian display acts. 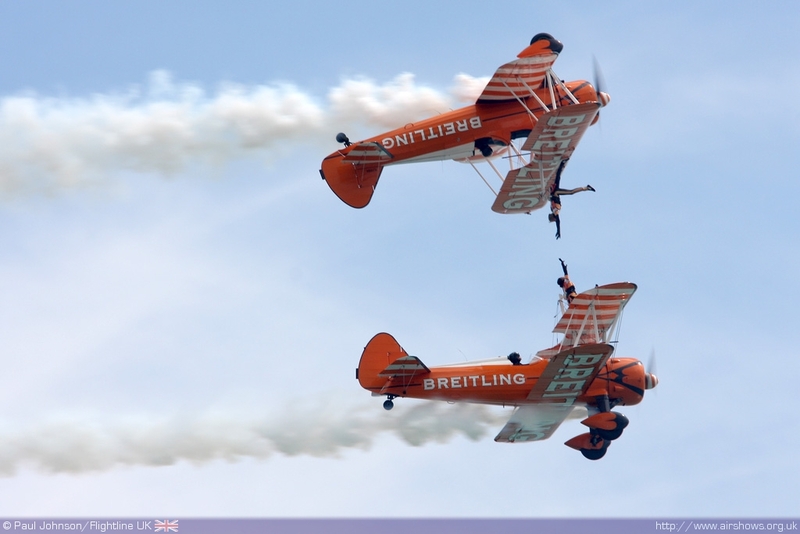 The Breitling Wingwalkers have long been a favourite at Eastbourne and supported the show all four days this year. 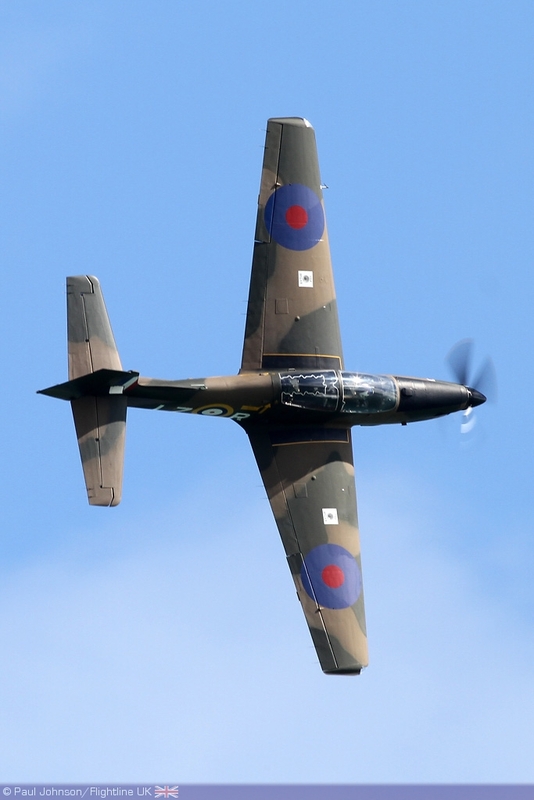 They were joined by the Blades which appeared no less than five times at Eastbourne over the four days as well as taking in displays for Shoreham's Press Day and the Lowestoft Air Festival! 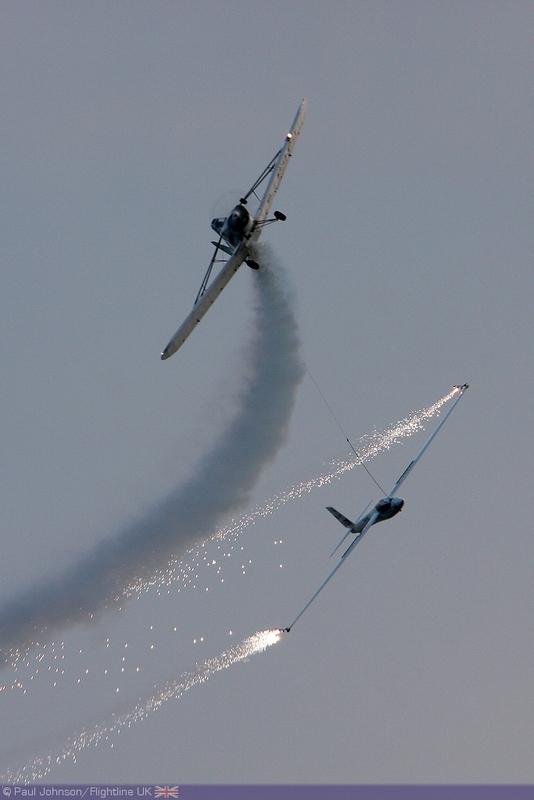 Joining these two well established acts were two new displays for 2010. 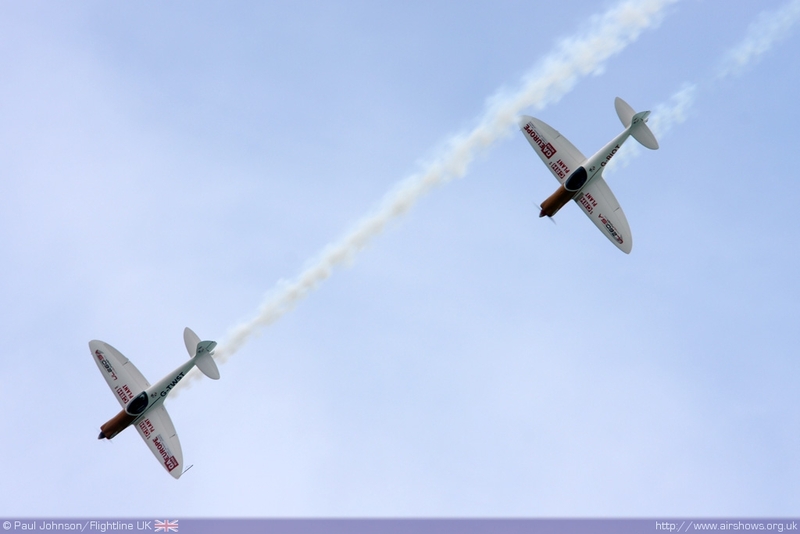 The Twister Duo made their Airbourne debut flying on all four days of the show showing off the elegant lines and aerobatic performance of SA1100 Twister. 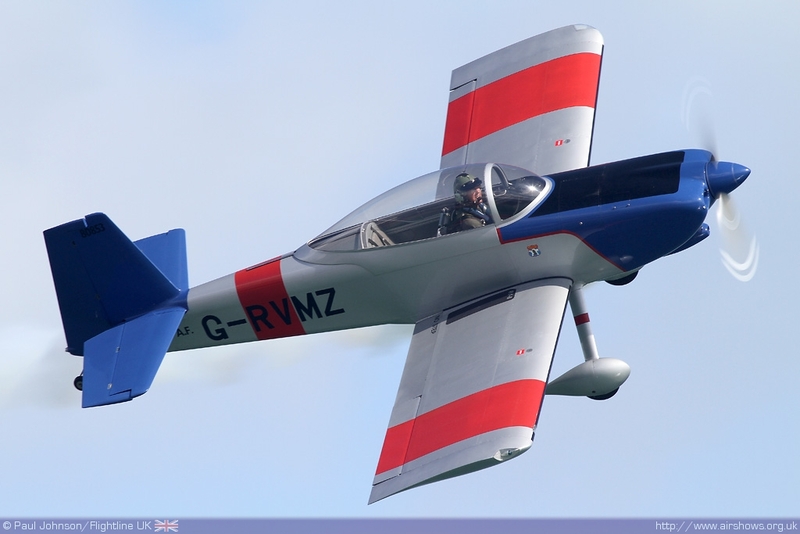 In contrast to the graceful Twisters, a far more powerful and faster display came from the RV-8tors, a new team led by OFMC display pilot Alister Kay alongside Andy Hill in a pair of Vans RV-8 aircraft. 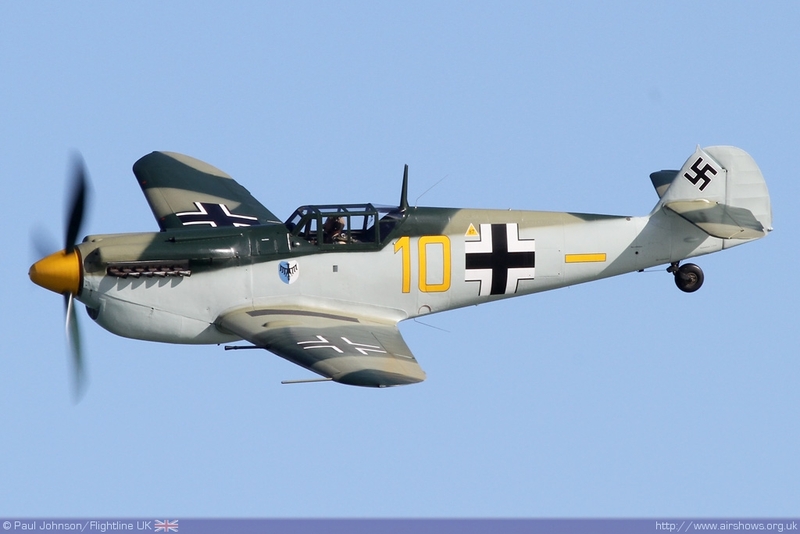 Historic aircraft always form an integral part of Airbourne each year with aircraft from representing the Second World War and cold war eras. 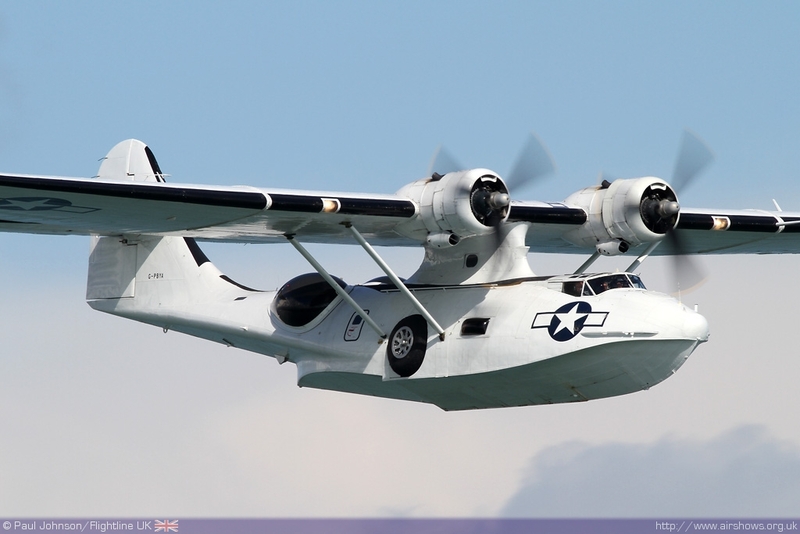 The Consolidated PBY-5A Catalina look right at home over the calm blue waters of Eastbourne over the weekend. 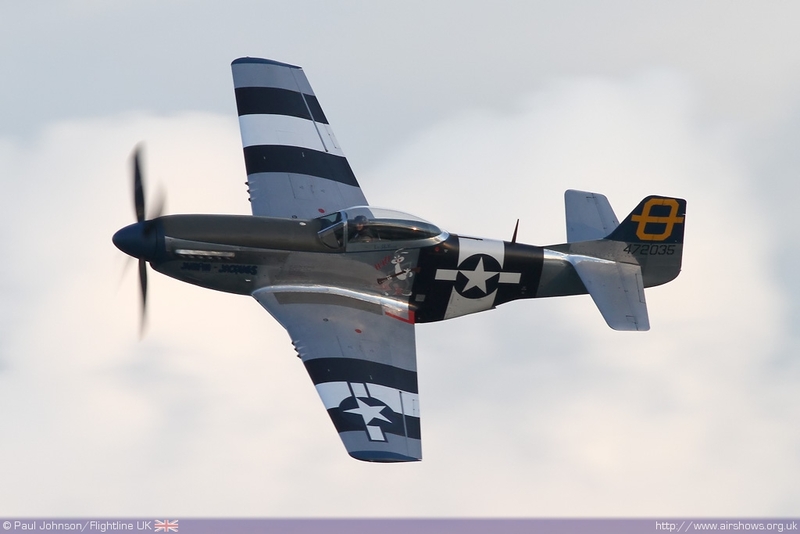 Further American heavy iron was provided by Peter Teichman in his P-51D Mustang from North Weald. 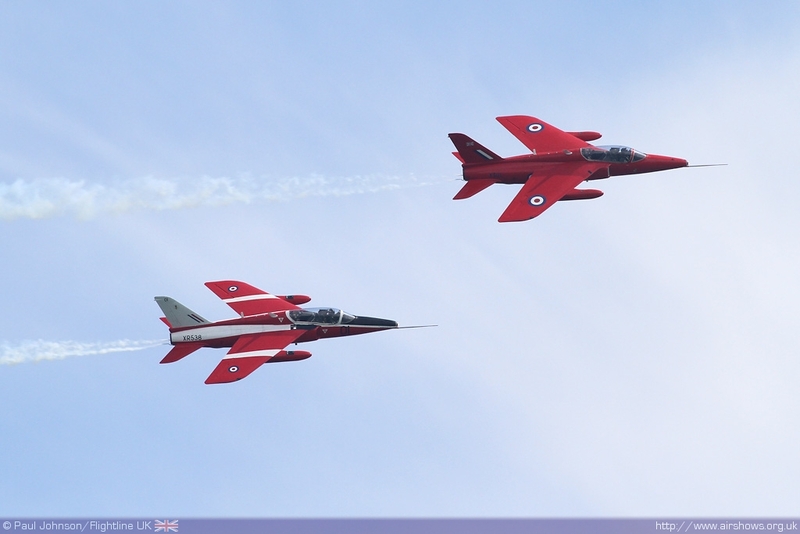 More recent aviation history was also well represented with a pair of North Weald classic jet displays. 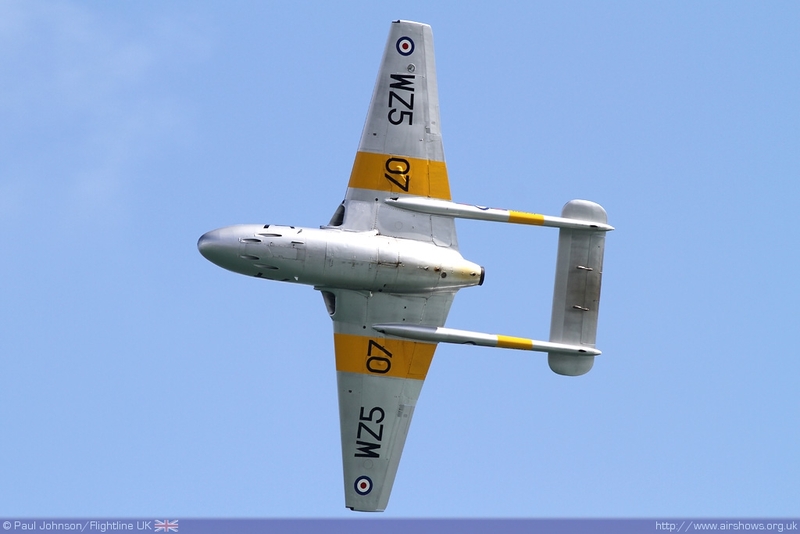 The Vampire Preservation Group's stunning Vampire T11 looked superb against Saturday's blue skies while the Gnat Display Team brought back memories of Red Arrows displays of the 1960's and 1970's with their excellent formation routine. 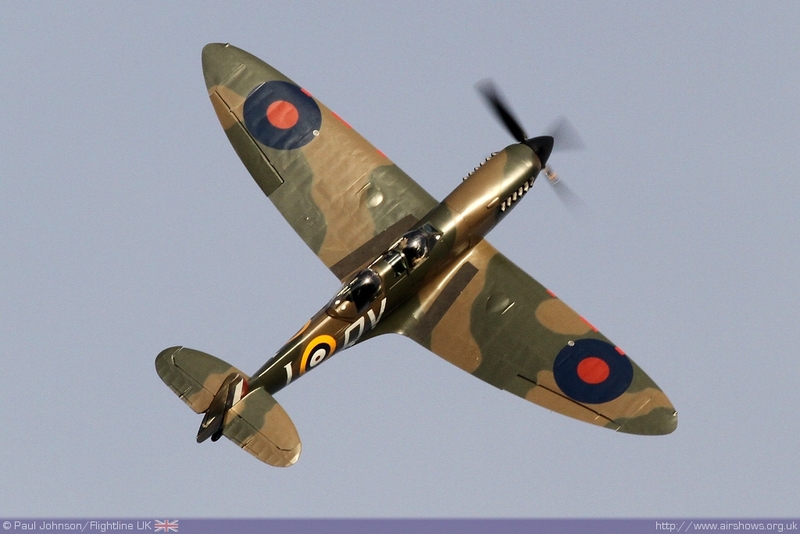 It was the Battle of Britain 70th Anniversary that formed the centrepiece of Airbourne 2010. 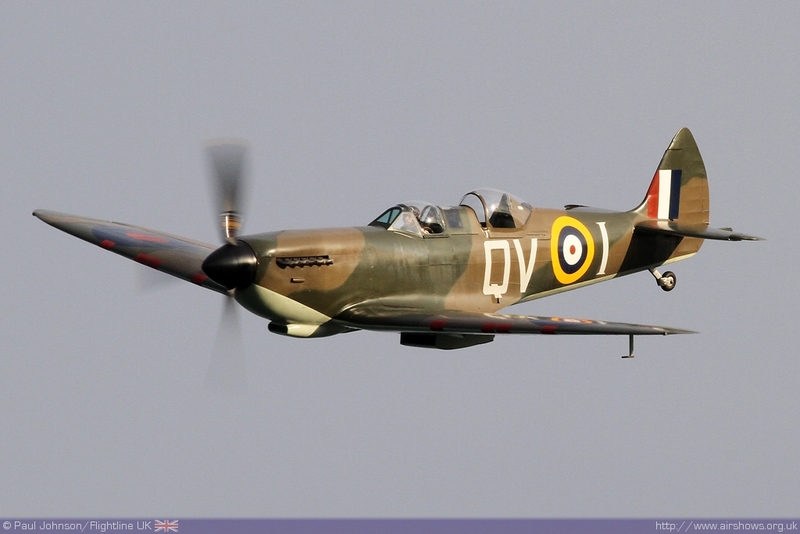 The Battle of Britain Memorial Flight displayed all four days with their Lancaster, Spitfire IIa and Hurricane IIc which is always a special sight over the white cliffs of Beachy Head during the show. 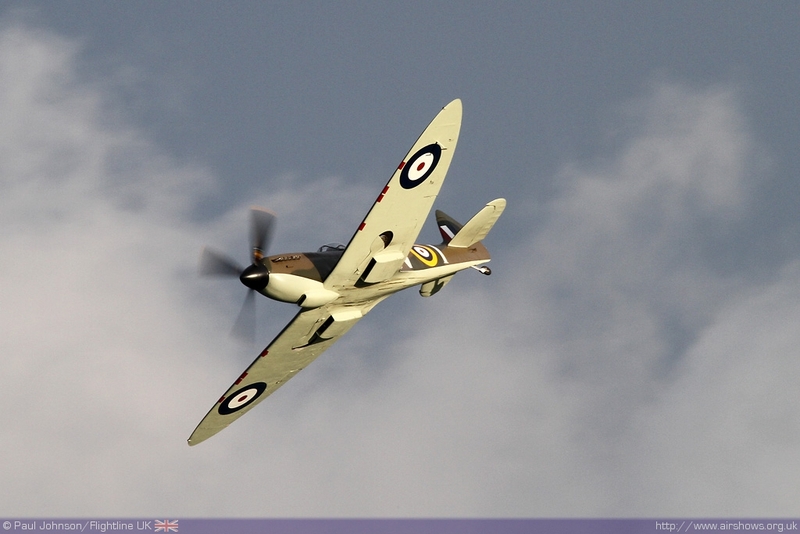 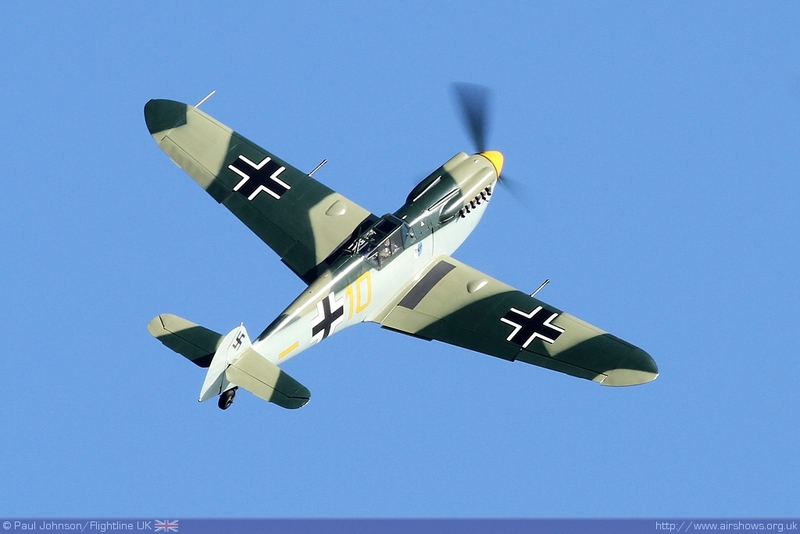 Peter Teichman also contributed to the theme with his Hurricane IIb which made its airshow debut at Eastbourne in 2009. 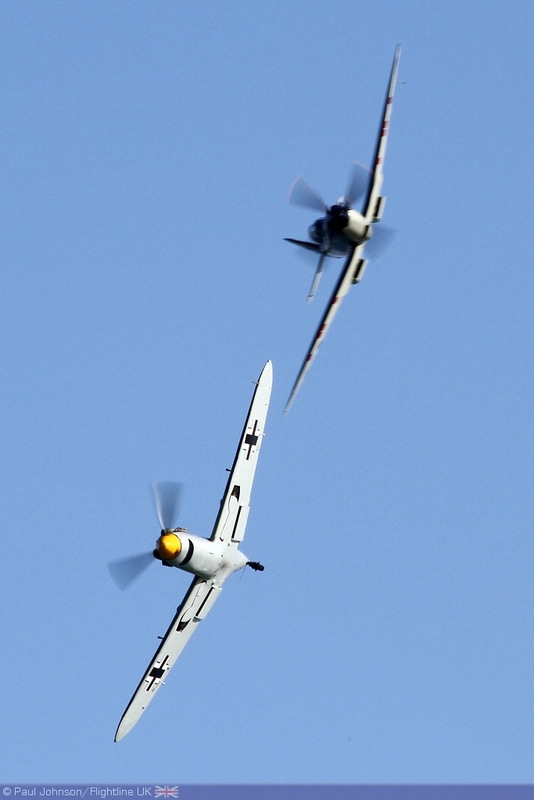 However, the highlight of the weekend and the anniversary commemorations was the dogfight scenario played out between John Romain in ARCo's Hispano Buchon (Me109) and Dave Ratcliffe in ARCo's Spitfire IXT. 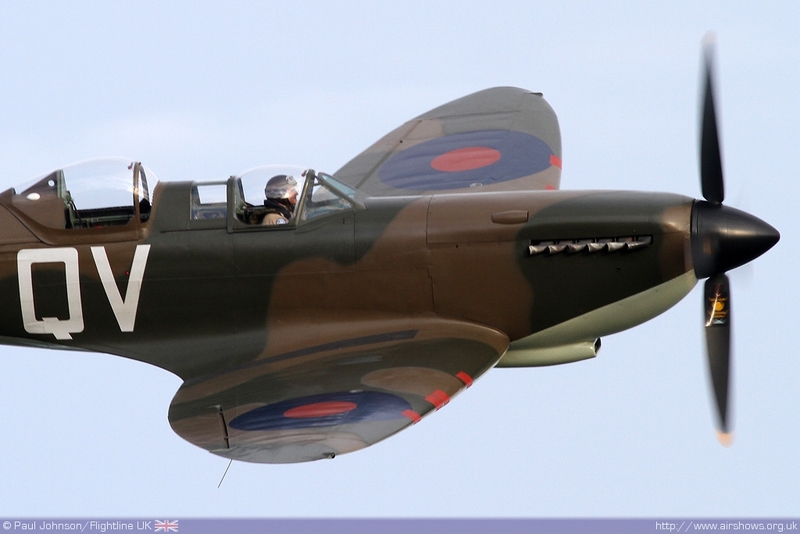 The roar of the merlins and backdrop of the English Channel, the Battle of Britain films soundtrack and white cliffs made the display just that little bit more special and even encouraged a little audience participation with a noticeable cheer going up around the Western Lawns as the '109 disappear around Beachy Head. The Spitfire IXT also closed Airbourne with an emotive display at Sunset on the Sunday while the Band of the RAF Regiment played at Eastbourne's iconic bandstand. 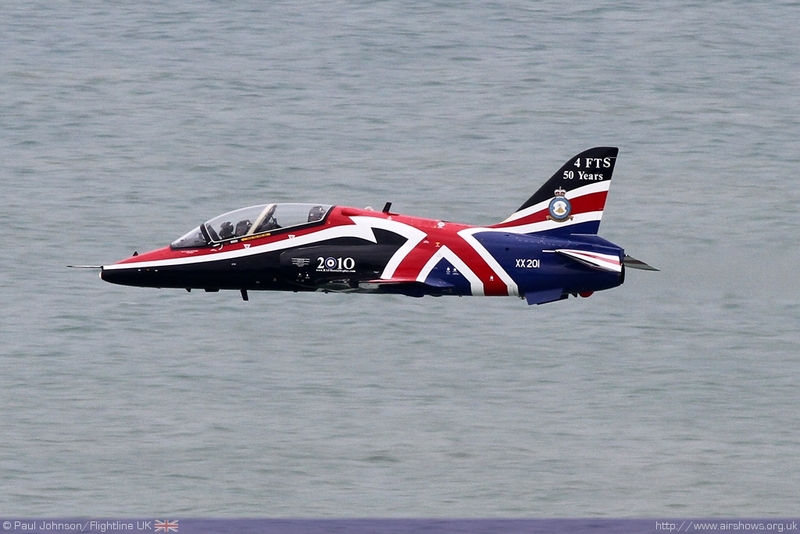 Airbourne 2010 was a very special event in 2010. 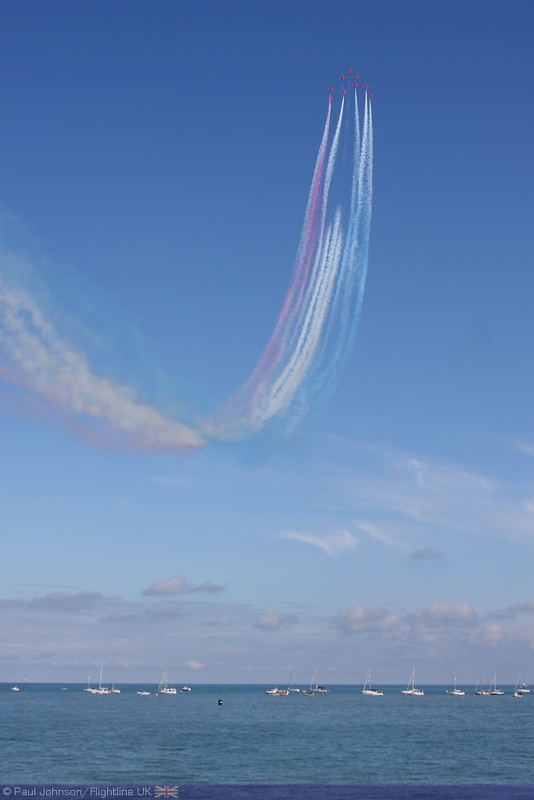 It provided great entertainment over the four days at a fantastic venue; it's has always been one of my own favourite airshow venues and it's great to see the event flourish after the controversy of 2008. 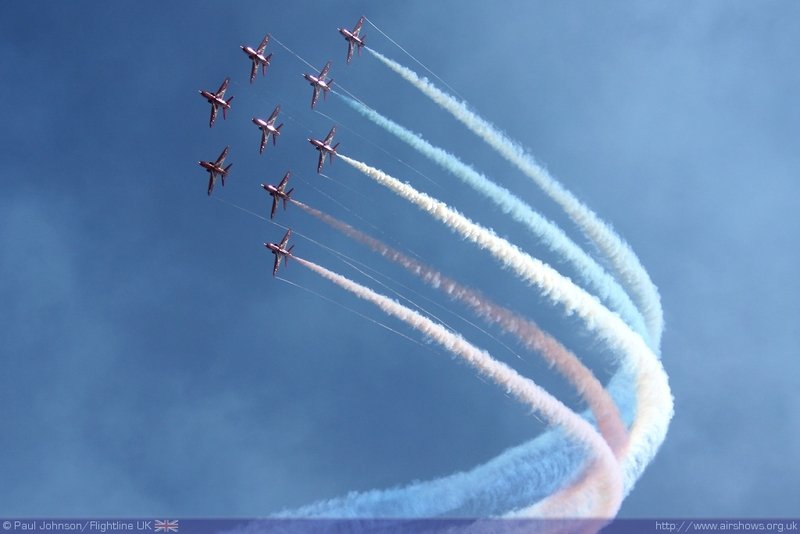 Airbourne 2011 will be held over the 11th-14th August and long may it continue!